What Would a UFC Heavyweight Grand Prix Look Like in 2018? 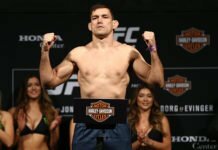 Home Opinion What Would a UFC Heavyweight Grand Prix Look Like in 2018? There will be an eight-man heavyweight grand prix crowning a new champion in Bellator MMA next year. It’ll be a fun watch, but it has us wondering what such a tournament would look like in the UFC. 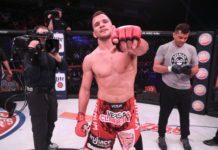 No offense to the group taking part in Bellator’s grand prix, but with a few non-heavyweight fighters in the tourney, the initial announcement left us wanting more. We’ll undoubtedly tune-in, and for a promotion lacking heavyweights, they still managed to put together an interesting slate of fights. But, with middleweights getting a shot at becoming the Bellator heavyweight champion, it feels a little off. 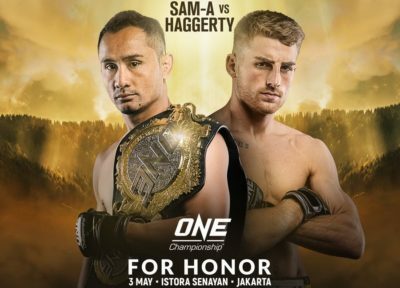 Of course, matchups between fighters from a variety of weight classes is one of the more intriguing aspects of an MMA grand prix. That doesn’t mean the winner should be crowned the champion of a single division. 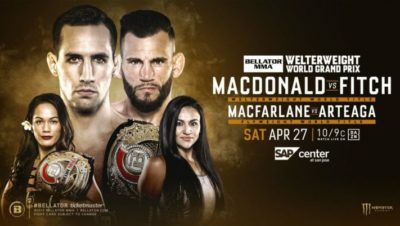 Bellator just doesn’t have the roster of fighters necessary for such a tournament, without having to reach into other weight classes. The UFC, however, has no such problem. They may not be exploding with depth in their biggest division, but a UFC heavyweight grand prix would look a lot more like a heavyweight tournament than Bellator’s current group. These kinds of tournaments are having a bit of a renaissance of late. 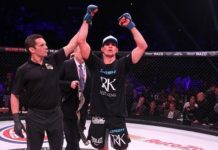 Rizin FF, Road FC, Combate Americas, and more utilizing one of the oldest formats in MMA. 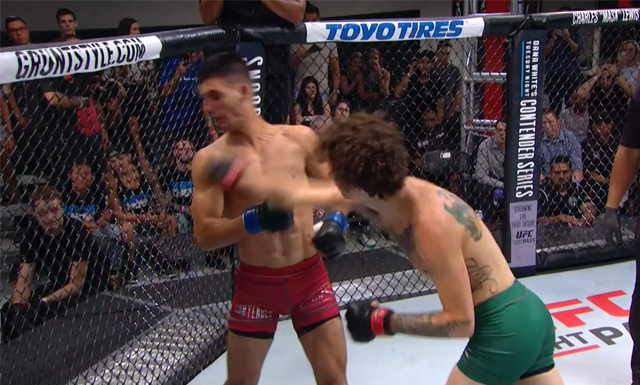 The UFC keeps their tournaments to The Ultimate Fighter, but maybe they’ll get creative in the future. 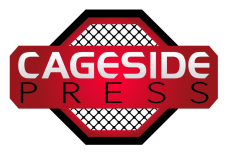 We’ve dreamt up a welterweight tournament that MMA needs, and decided to do the same for a potential UFC heavyweight grand prix. It wouldn’t crown a divisional champ, but it would be a whole helluva lot of fun for a division begging for fresh matchups and excitement. Filling in this group is pretty straightforward, with a solid group of top-tier contenders currently in the UFC ranks. The first three are easy invites: promotional heavyweight champion Stipe Miocic, Alistair Overeem, and Fabricio Werdum. All are currently in the UFC heavyweight title-picture and have some history with each other. Their resumés are undeniable, and each could be considered favorites in the tournament. 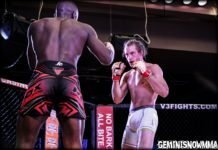 From there, a couple of up-and-coming fighters deserve to be involved. Francis Ngannou and Curtis Blaydes are the freshest faces in the UFC’s heavyweight fighter rankings, and with good reason. 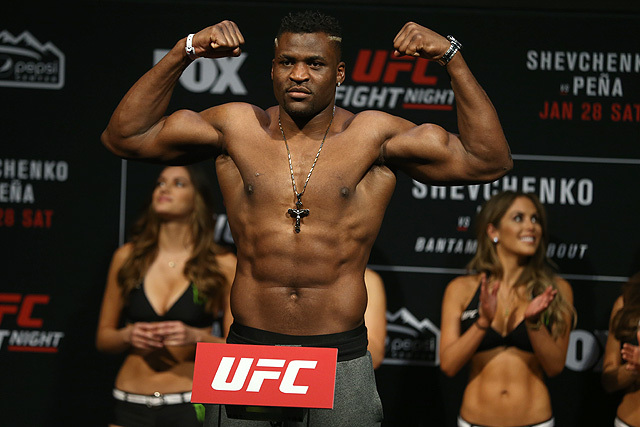 Ngannou is 10-1 in his career and 5-0 since joining the UFC in December of 2015, including a second-round TKO victory over Blaydes in April of 2016. That doesn’t reflect too poorly on Blaydes, as it’s the only loss on his 9-1 record and was his promotional debut. The 26-year-old has since reeled off four straight wins, three of which coming in 2017. After those five fighters, things get a little tricky. There are legal issues, health issues, and more throughout the UFC’s heavyweight and light heavyweight divisions, but we’re going with Derrick Lewis. Despite his poor performance against Mark Hunt, Lewis is 5-1 since 2016 with three Performance of the Night bonuses. 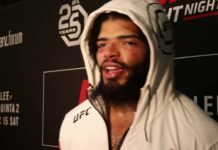 Lewis blamed his performance on a back injury that had plagued him for months, which wouldn’t be surprising for a guy who fought 10 times from 2014-16. Earlier this month Lewis announced he’s been cleared by the doctor and is ready to get back in the Octagon. If he’s 100-percent, Lewis belongs in the tourney. Now, for the light heavyweight invitees. First, the easy pick: Daniel Cormier. 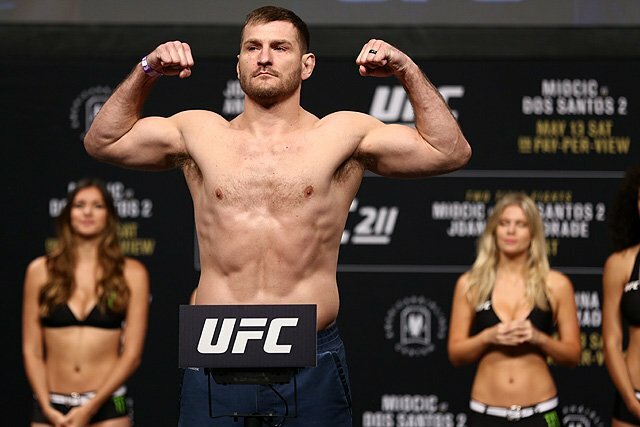 The UFC light heavyweight champion is undefeated in 13 career heavyweight bouts, and won the Strikeforce Heavyweight Grand Prix as an alternate in 2011-12. He’s avoided the division in the UFC out of reverence for his teammate Cain Velasquez, but it’d be dumb not to include Cormier given the inactivity of the former champ and his questionable availability. Lastly, we’re inviting Volkan Oezdemir. 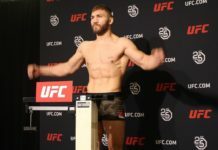 The Switzerland-native is on the run of his career since joining the UFC in 2017, working his way toward a shot at Cormier’s 205-pound title. He’s 3-0 as a heavyweight in his career, and has been delivering knockouts on a regular basis with his heavy hands. He’s currently facing legal issues, but compared to the list of guys we’re using as alternates, his problems are minimal. As alternates, the winner of these matchups would potentially take the place of an injured fighter throughout the tournament. There are plenty of options, but we’re going to go with the guys we wish we could’ve signed up for the actual grand prix. How effective they’d be as alternates isn’t why they’re here. It’s more of an attempt to get these guys into the tournament at all, should they somehow become more available than they are right now. Leading the way is Jon Jones. Without USADA, Jones would be one of the first names in the bracket. Instead, we’ll be lucky to see the phenom compete at all in 2018. Regardless, we’ll give him an alternate spot here in hopes he avoids long-term punishment for his latest transgressions. We’re also sticking Mark Hunt and Cain Velasquez in the alternate bin. A few years ago, they’d have been easy to include. Now, their reliability is in question. For Hunt, it came in the form of being pulled from a fight, following an insightful column in which the New Zealander detailed the struggles he’s faced as a fighter. He says he’s clear to fight, but the UFC doesn’t seem so sure. The story is similar for Velasquez, who was last seen being removed from UFC 207 in December of 2016. After he revealed the extent of his back issues, the Nevada State Athletic Commission stepped-in, and had promotion president Dana White’s approval. Velasquez is one of the all-time heavyweight greats, but it’s unlikely he’d be able to be counted on to fight multiple times in one-year. The last alternate we’ll include is Alexander Volkov. He may not have the pedigree of his fellow alternates, but Volkov has looked good lately, winning his last five fights and going 3-0 in the UFC. 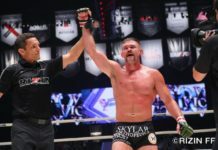 The six-foot-seven Russian also has tournament experience, winning both the Bellator Season 7 and Season 10 heavyweight tournaments in 2012 and 2014, respectively. However unlikely, this tournament would be a blast. Being able to utilize any of the alternates wouldn’t reduce the quality of the field, and the eight guys featured are all deserving. In a division needing some spice, the UFC should consider copying Bellator’s playbook by putting together their own heavyweight grand prix with their batch of heavy hitters. Let us know who you’d invite to your version of a UFC heavyweight grand prix, and who you think would take home the trophy! Previous articleWith It All Said and Done, Where Does Ben Askren Sit in Welterweight History?